To commemorate the 100th anniversary of the ending of World War One, individuals and groups are joining together to create a Cascade of Poppies. Local crafters are creating craft poppies which, when fixed to a net, will fall down an exterior wall at Braunstone Civic Centre. The cascade will then flow out along the ground up to and around a new War Memorial in the garden at the Centre on Kingsway, Braunstone Town, Leicester. The community aim to make 14,177 poppies to commemorate each of the Leicestershire men who died as a result of the conflict. All types of craft poppies are needed (except card or paper – the display will be outside in November…) and we would welcome anyone to join us, whether you want to make one poppy, a dozen or more, and perhaps to tell us their stories of relatives who lived during World War One. If you would like patterns for either knitted, crocheted or sewn patterns, look below or pop into the Civic Centre reception. If you have already made some poppies, please take to the Civic Centre reception or message me so we can collect – we need to keep a running total. 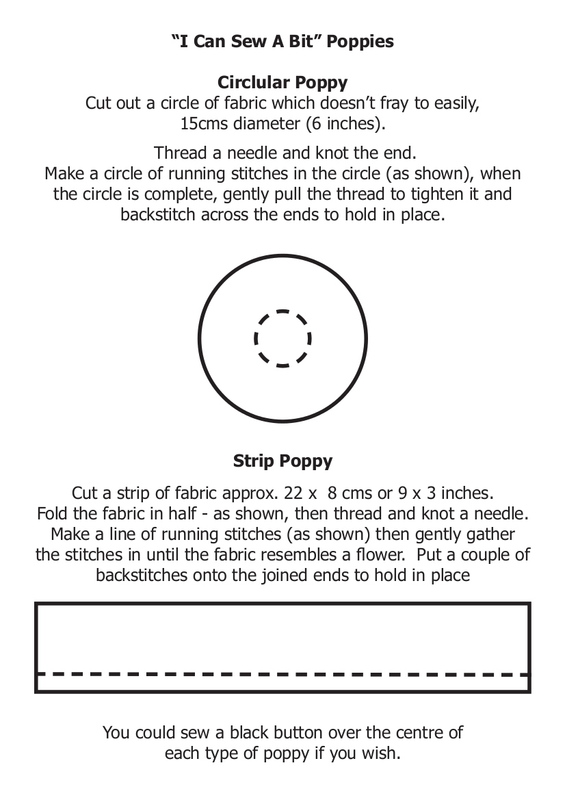 You might say “I can’t craft: well, providing you can use a pair of scissors, there’s a poppy for you – try the “No Sew Poppy”! 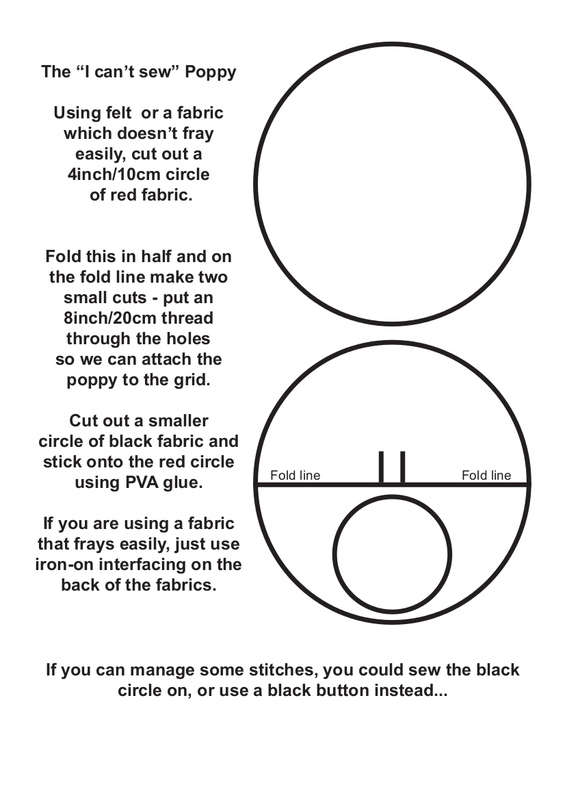 It really is very easy… or why not think about joining us to help tie the poppies onto the mesh? Just call or email the editor for details of times. The group would also like anyone who wishes to donate red knitting wool, fabric, or camouflage type netting to please get in touch.